I really loved this book and read it for book club in June. Lavinia is orphaned on her families voyage to America from Ireland. The ship's captain takes her as an indentured servant and sells her brother to make up for the money her parents owed. 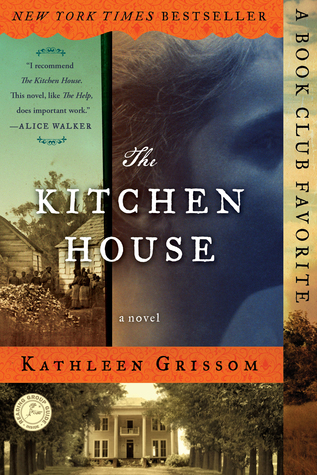 She lives and works in the kitchen house with the slaves. Long story short things get messed up, and there is a heck of a story here. Great read! I had gotten this book for Christmas in 2014 but hadn't read it yet. It was the July pick for book club. It was just eh to me. And I called the story from the beginning and it just was blah to me. I'd like to give some of her other books a chance but I'm unsure. Description: Lou Clark knows lots of things. She knows how many footsteps there are between the bus stop and home. She knows she likes working in The Buttered Bun tea shop and she knows she might not love her boyfriend Patrick. What Lou doesn't know is she's about to lose her job or that knowing what's coming is what keeps her sane. Will Traynor knows his motorcycle accident took away his desire to live. He knows everything feels very small and rather joyless now and he knows exactly how he's going to put a stop to that. What Will doesn't know is that Lou is about to burst into his world in a riot of colour. And neither of them knows they're going to change the other for all time. I got this book Summer 2014 at my local library's Used Book Sale. I am really trying to get through the books I own to make way for new books ha. I haven't allowed myself to go to the used book sale in about a year. 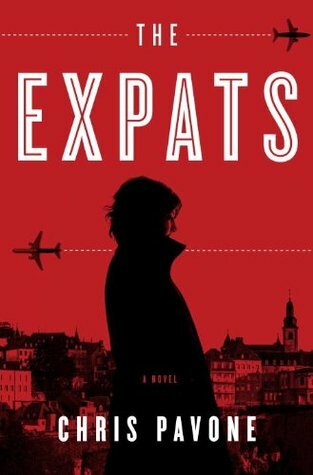 This was a great spy thriller in that I read in a quick 24 hours while camping. Description: Kate Moore is a working mother, struggling to make ends meet, to raise children, to keep a spark in her marriage . . . and to maintain an increasingly unbearable life-defining secret. So when her husband is offered a lucrative job in Luxembourg, she jumps at the chance to leave behind her double-life, to start anew. She begins to reinvent herself as an expat, finding her way in a language she doesn’t speak, doing the housewifely things she’s never before done—play-dates and coffee mornings, daily cooking and unending laundry. Meanwhile, her husband works incessantly, doing a job Kate has never understood, for a banking client she’s not allowed to know. He’s becoming distant and evasive; she’s getting lonely and bored. Then another American couple arrives. Kate soon becomes suspicious that these people are not who they claim to be, and terrified that her own past is catching up to her. So Kate begins to dig, to peel back the layers of deception that surround her. She discovers fake offices and shell corporations and a hidden gun; a mysterious farmhouse and numbered accounts with bewildering sums of money; a complex web of intrigue where no one is who they claim to be, and the most profound deceptions lurk beneath the most normal-looking of relationships; and a mind-boggling long-play con threatens her family, her marriage, and her life. 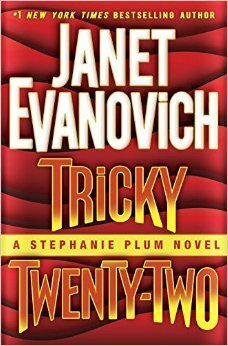 I made a quick stop into the library this week and found a copy of the newest Janet Evanovich book so of course I had to read it. I'm fully committed to seeing this series through at this point. However, it's getting lamer and lamer and I need some action to occur. Hilarious as always! What books have you read recently? Anything good? Anything you've had on your shelves for awhile? 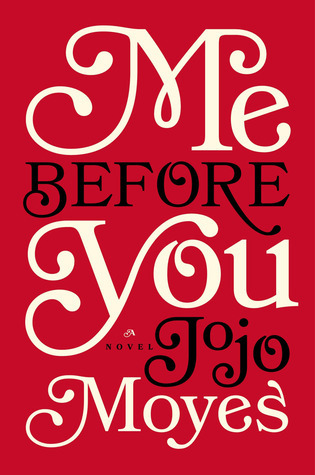 Reading: Me Before You by JoJo Moyes. It’s for book club and it’s okay. Not in love, not in hate. Just okay. I need to find something to sink my teeth in! We are going camping for 5 days soon and I want to bring some good reads with me! Loving: more day light, It’s amazing the motivation to do things after working all day when it’s warm and nice outside! Thinking: about how crazy hour life will be soon when my baby starts Kindergarten!!! Feeling: unsettled and I don’t really know why. Anticipating: a wedding away with the hubs this weekend and then like I mentioned before our camping trip. It’s going to be crazy getting ready for it. Working: summer hours so that’s nice. We get out at 3 on Friday’s but I really don’t feel like it helps any except for when we are leaving for the weekend and can get a head start. 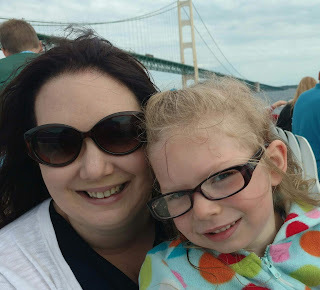 Grateful: that I am going to be able to adjust my hours at work this school year so I can drop the kiddo off at school every day before work. Which means we do not have to pay for the before care program. I was dreading that, not because it’s expensive, but because of the time I’d need to drop her I’d be paying someone to have her line up and wait. So this is nice. Listening: to a ton of podcasts. I have a problem. Too many podcasts, not enough time. Wishing: for a cleaning fairy! What are you reading, listening to and watching lately?